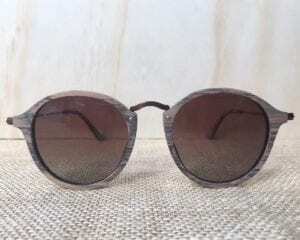 A unique take on classic black sunglasses with the addition of arms crafted from walnut wood. Extremely comfortable to wear with spring loaded hinges. Fitted with UV400 polarised lenses to eliminate glare and give maximum protection against UVA and UVB rays.